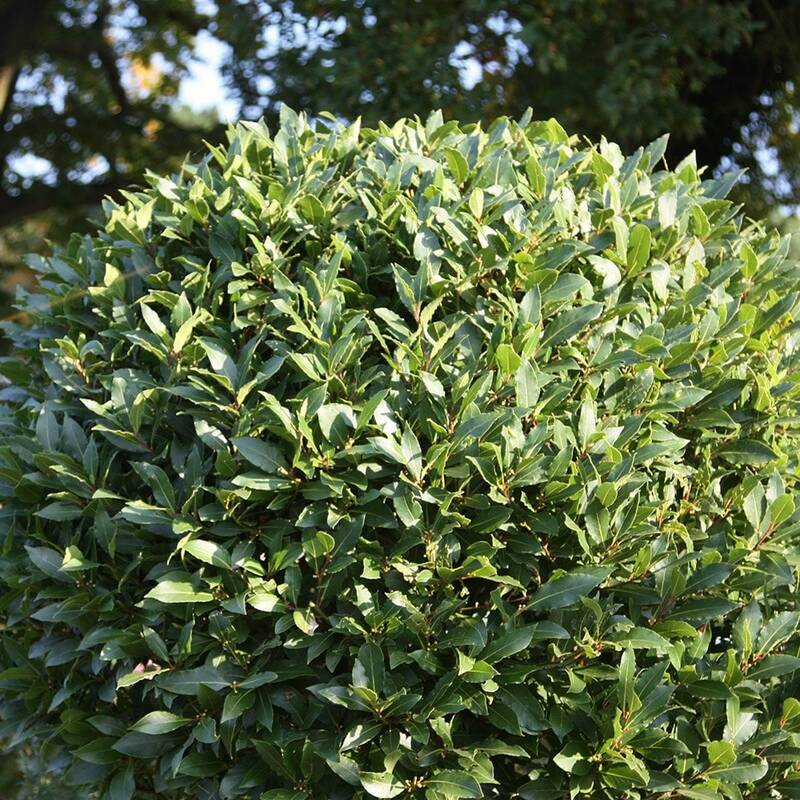 These evergreen bay laurel balls are are great for flanking a set of steps, a doorway or path. Provide a sheltered, sunny or partially shady site and winter protection in cold areas since the lustrous, aromatic, dark green leaves, valuable for their culinary use, are susceptible to wind scorch. Hello Annie, This sometimes happens after cold winters, but it is still a bit of a mystery as to what causes it. The general belief is that is is caused by stress - from freezing temperatures or irregular watering. The good news is that it is rarely fatal, especially if the rest of the plant looks happy and healthy. If however the top growth has died back, then this should be removed, cutting back into healthy wood. I'm afraid it will ruin the shape of your standard, but the plant may send up new shoots. Hello Jane, The best time to pot them up is in spring or autumn, but you can do it carefully at any time using John Innes No 2 or 3 compost. The discolouration of the foliage is probably caused by a watering problem, so make sure that they are watered regularly and that any excess water can drain away freely and feed them with a good general-purpose fertiliser during the growing season. The nibbled bits could be caused by caterpillars or more worryingly Vine Weevil adults, so keep your eyes peeled for these.